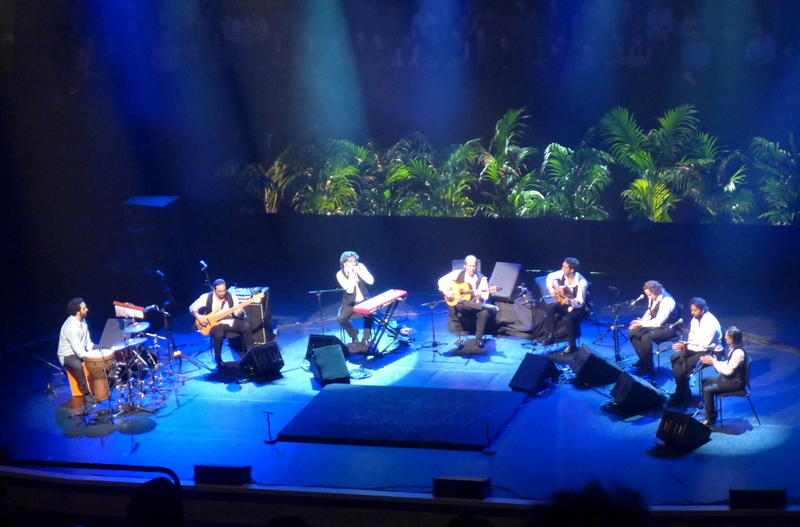 It was a year and a half ago at the London Jazz Festival when I got to see Francisco Sánchez Gomes (better known as Paco de Lucía) play live. It was to be the first and last time I would ever watch him perform, an experience I will always carry with me for the years to come. There are many things I would like to write about Paco. How he mastered his art from a very young age, expanded the vocabulary of flamenco, experimented with many genres and styles introducing various ‘foreign’ elements into his playing, while acting as an ambassador for flamenco music worldwide and becoming one of the greatest musicians the world has known in recent history. But perhaps it’s better to let the music speak for itself. Below is a small selection of highlights from Paco’s long and extraordinary career that follow his development as a musician and demonstrate his endless curiosity and constant struggle for perfection and artistic excellence. Tico-Tico no Fubá is a renowned Brazilian choro music piece (“Tico-Tico” is the name of a bird, the rufous-collared sparrow) which Paco performed in the 1960s. An intimate performance of a rumba flamenca (a style of Spanish flamenco music derived from the Afro-Cuban rumba) which became immensely popular both in Spain and internationally after the release of Paco’s album Fuente y caudal (1973). Paco improvising on a famous theme by Georges Bizet in the film Carmen (1983) by Spanish director Carlos Saura. Paco’s performance of Joaquín Rodrigo’s famous Concierto de Aranjuez was a remarkable achievement (it was released as an album in 1991), showcasing his brilliant technique and ability to infuse a unique flamenco feel in this staple of classical guitar repertoire. While ever expanding his musical horizons, Paco met and collaborated with numerous great artists including celebrated jazz guitarists Al Di Meola and John McLaughlin with whom he recorded the acclaimed album Friday Night in San Francisco (1981). Thirty years later, Paco would meet Meola again in Germany for an astonishing performance of Mediterranean Sundance. This entry was posted in Various and tagged Bizet, Carmen, flamenco, guitar, McLaughlin, Meola, Paco de Lucia, Rodrigo, rumba, Saura on March 1, 2014 by The Muser. thank you for your post, surely he will be missed … !